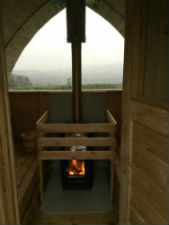 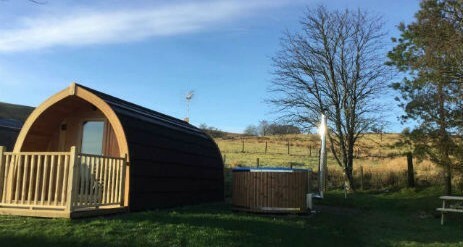 Stoneymollan Luxury Pods Loch Lomond is a family run business in a very beautiful part of Scotland surrounded by nature and breathtaking landscapes. 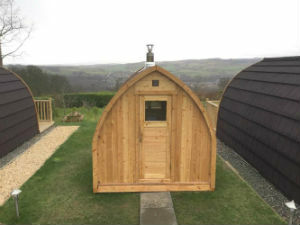 Enjoy and explore this beautiful place and it’s surrounding area in one of our two luxury glamping pods, one with hot tub and another with sauna. 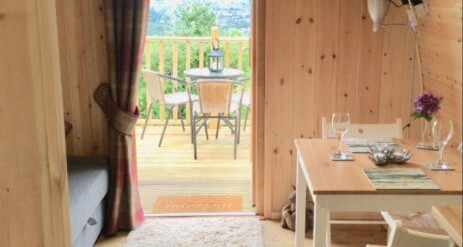 Situated in Loch Lomond and The Trossachs National Park just a mile or so from Balloch, on the edge of Stoneymollan Muir the pods are surrounded by open fields, Muirland and woods on the Three Lochs Way and The John Muir Way walking trails. 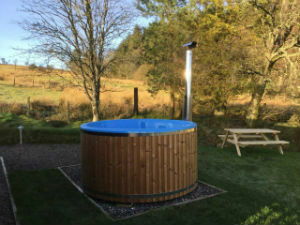 We have panoramic views to the Loch, The Connich Hill on the east side of the Loch, The Ochil Hills, The Kilpatrick Hills, The Crianlarich Hills and The Crieff and Loch Earn Hills. 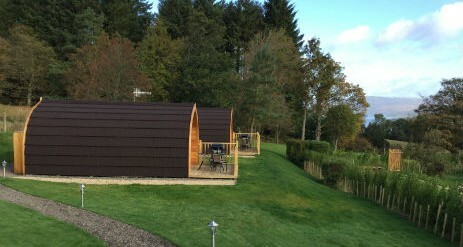 In the Autumn and Winter when the trees drop their leaves, Inch Murrin and Ben Lomond are clearly visible. 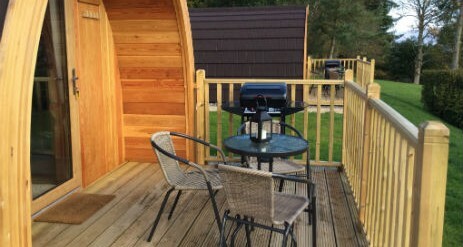 While the pods offer a very quiet elevated position with no neighbours (besides the owners, of course), they also benefit from easy access to local amenities in the nearby town of Balloch. 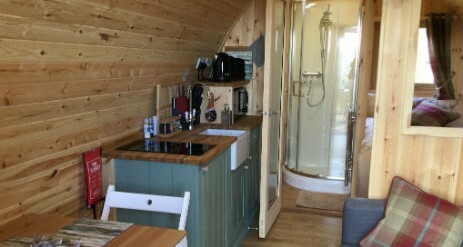 In our pod, you’ll also find all the necessary kitchen appliances, utensils, crockery, pots and glasses.